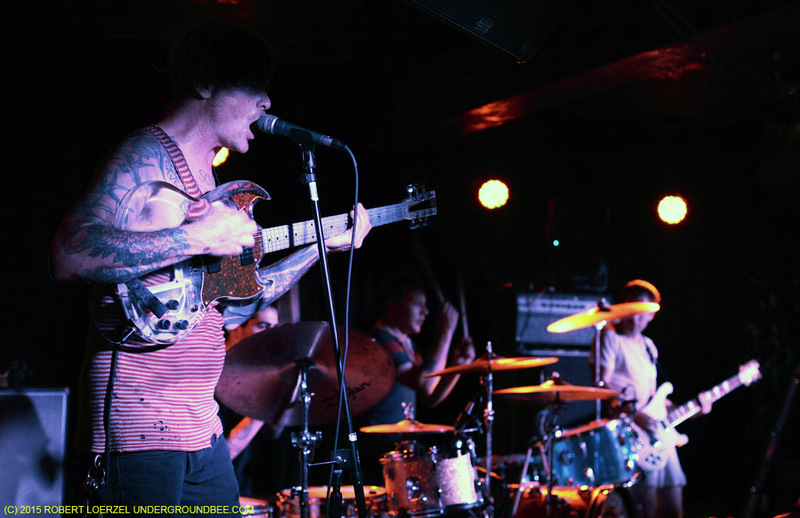 The prolific California band Thee Oh Sees released yet another fine album this year, Mutilator Defeated at Last, keeping up its run of catchy psychedelic-tinged garage rock records. 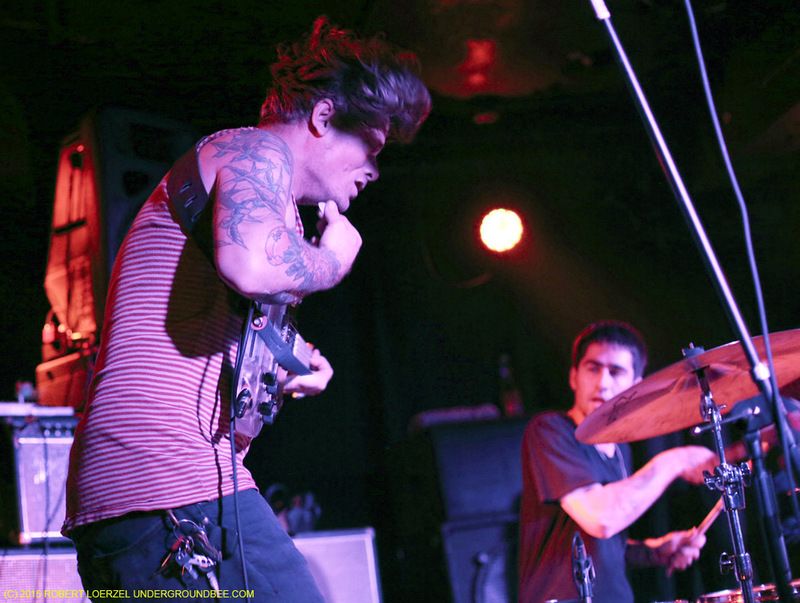 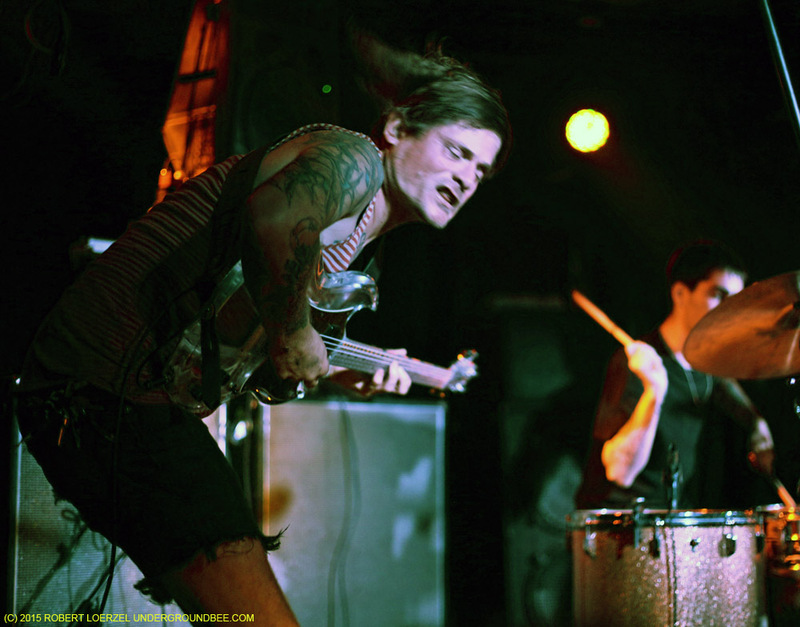 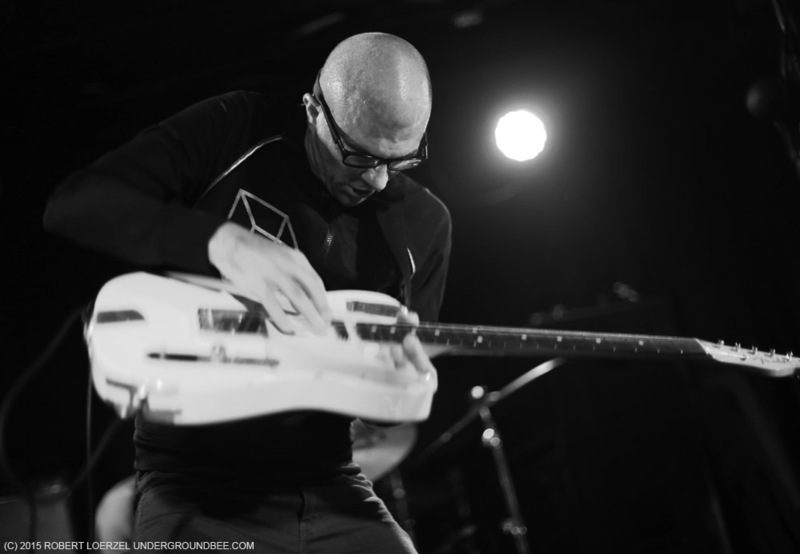 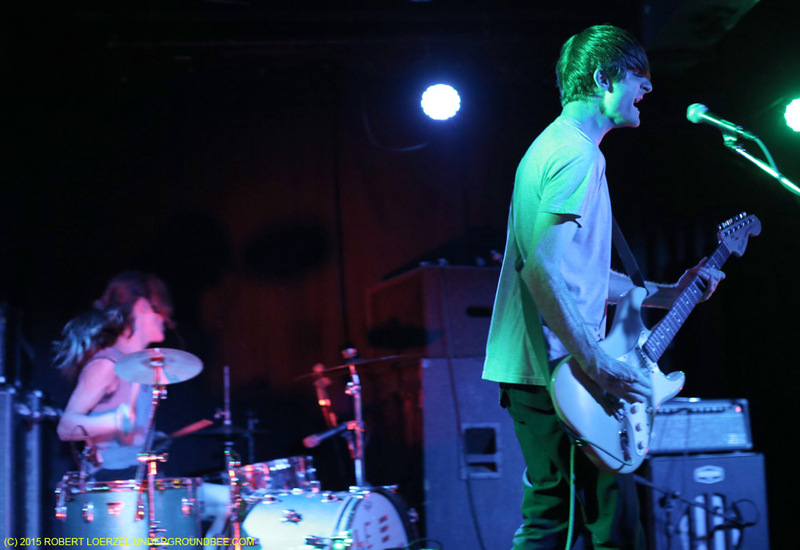 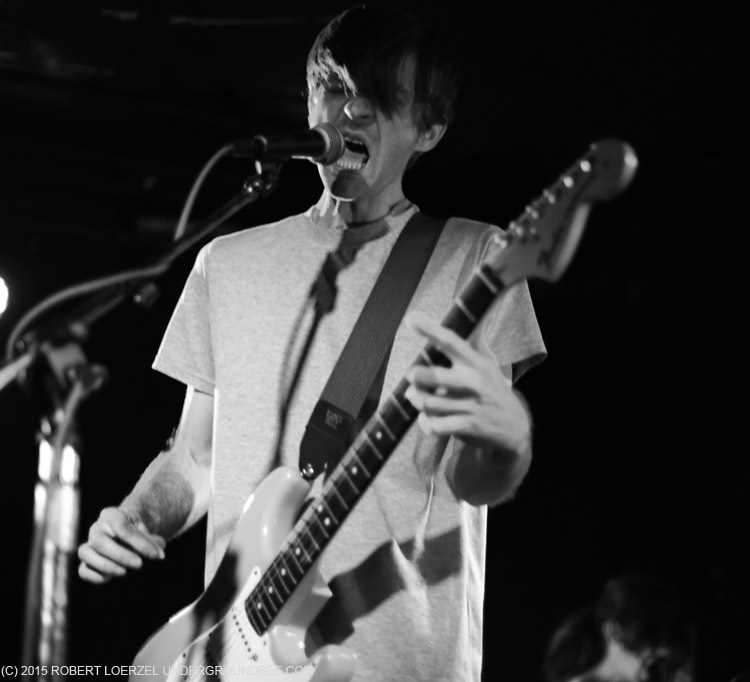 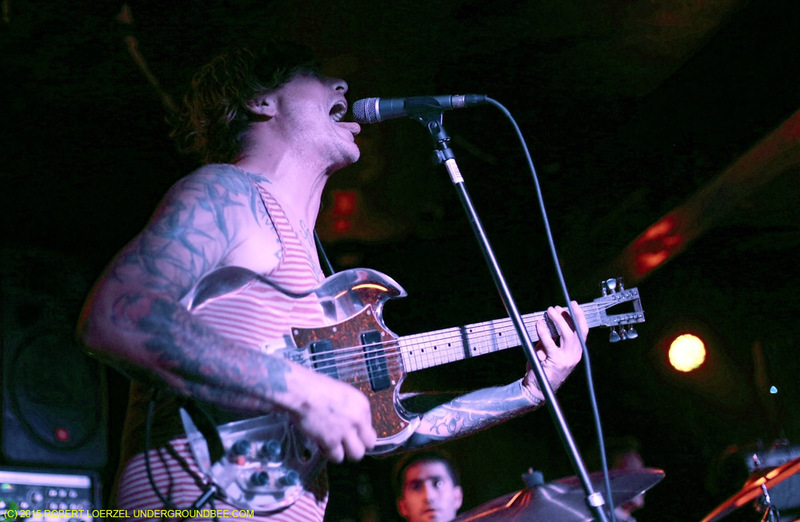 Frontman John Dwyer completely changed the lineup of the band playing behind him a year ago, and the lineup had changed yet again by the time Thee Oh Sees came to Chicago for two sold-out shows this week at the Empty Bottle. 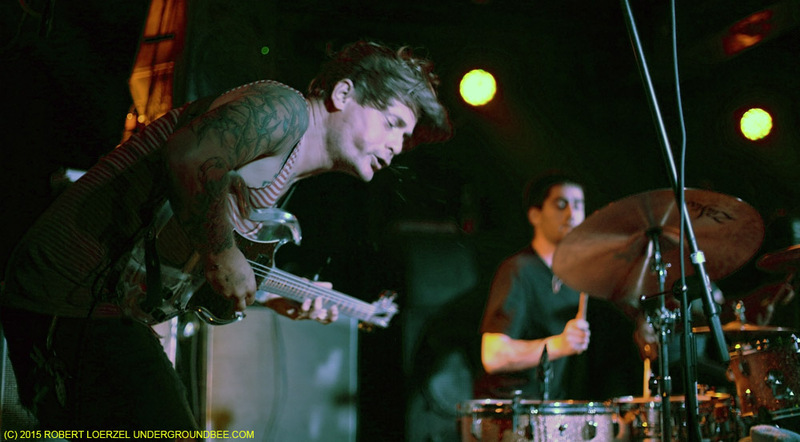 The band’s current configuration has two drummers and a bassist backing up Dwyer, with the four of them arrayed across the front of the stage, Dwyer standing stage right instead of in the center, with a stack of amps behind him. 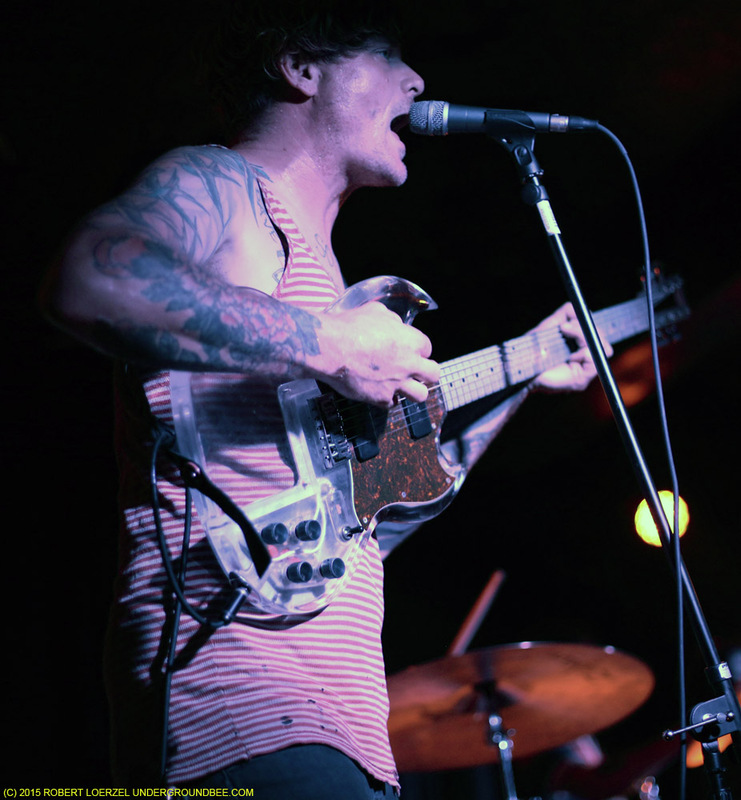 As he usually does, Dwyer held his guitar high on his torso, with his eyes frequently shrouded in darkness; he stuck out his tongue and spat onto the stage many times. 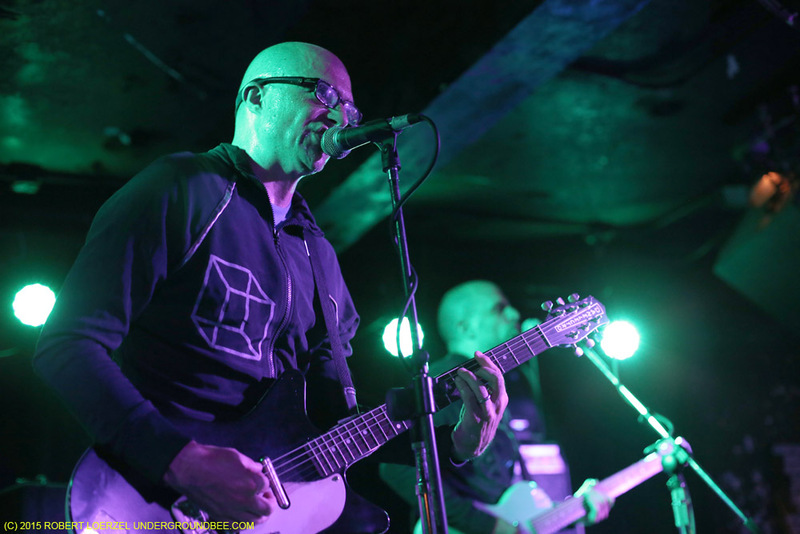 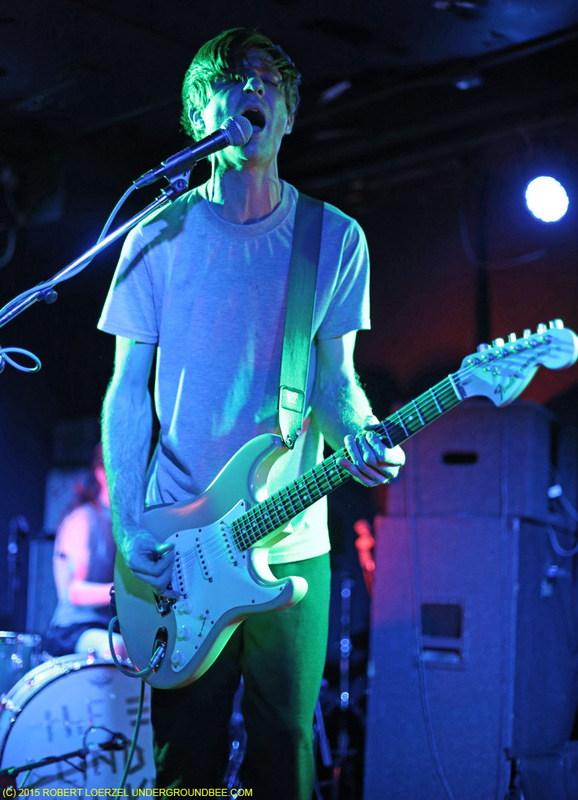 He sang nearly every note in reverb-drenched falsetto, and cranked out a series of searing guitar riffs. 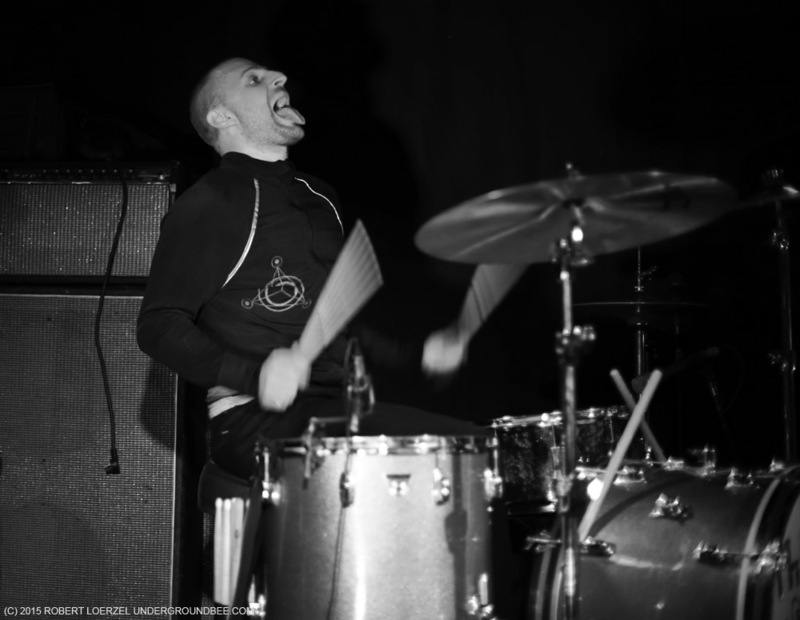 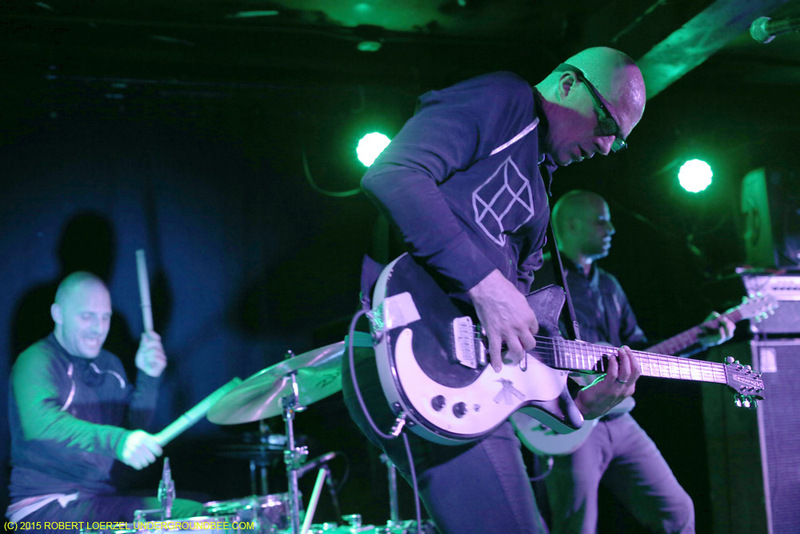 The two-drum lineup gave the music a driving intensity, especially on the last few songs, when the percussion seemed to take on more multilayered complexity. 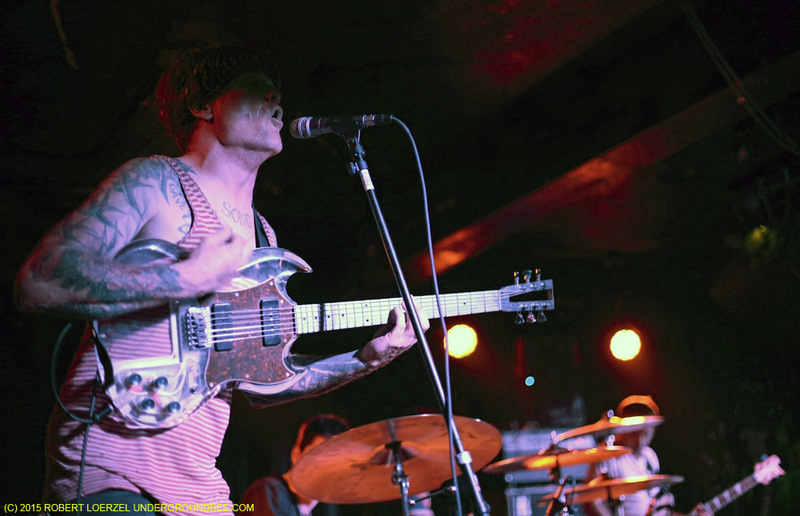 After playing more than 90 minutes — a fairly long set for Thee Oh Sees — Dwyer and his bandmates called it a night without an encore. 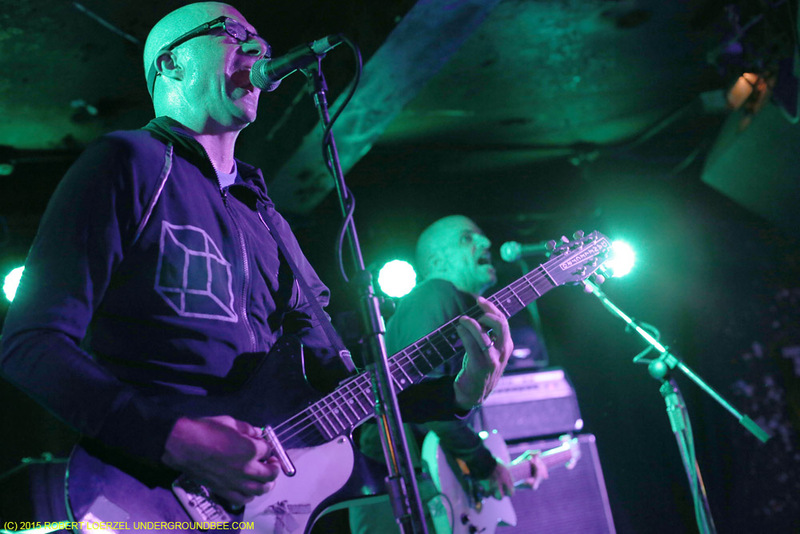 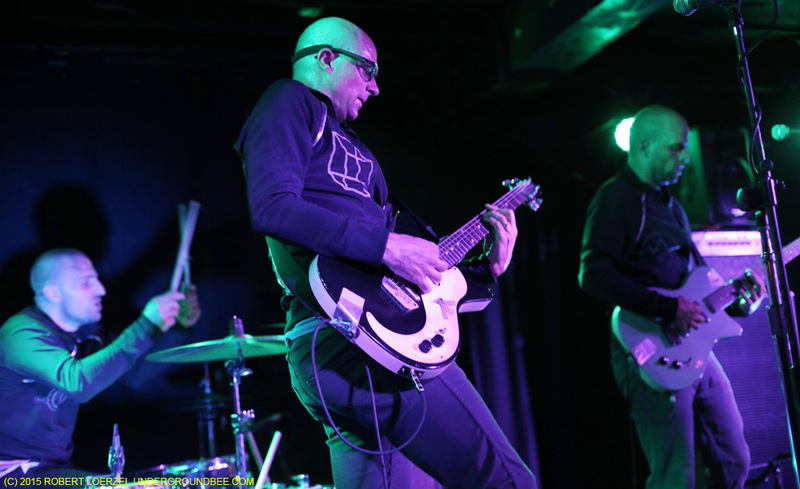 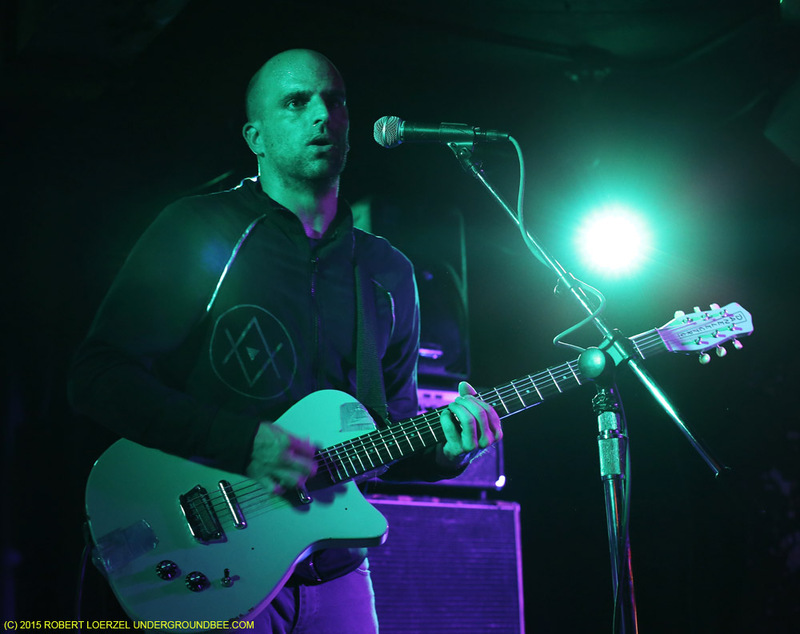 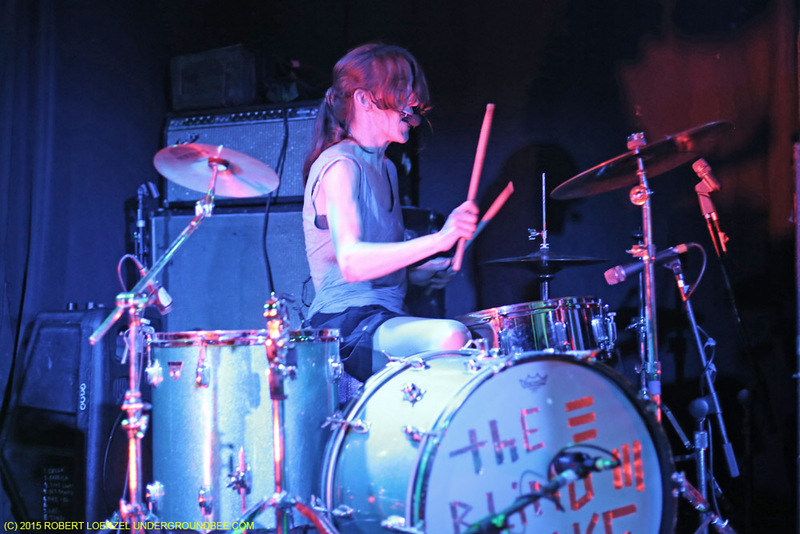 It was a strong night from beginning to end, with noisy, energetic sets by two opening bands, the Blind Shake and Make-Overs.